Gel polish manicures are amazing, but the removal is a bit of a process. I find it to be a necessary evil; however, since gel polish is the absolute best nail polish! 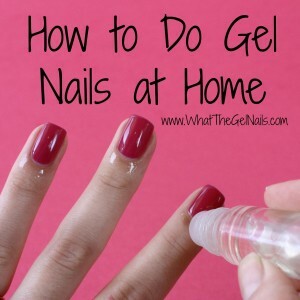 How do you remove gel polish? 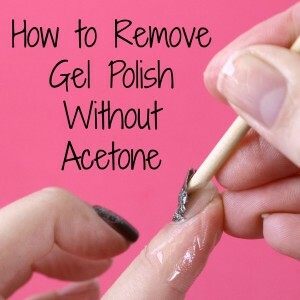 Well, first you need a whole lot of acetone, but if you do it right you’ll have clean, bare, and undamaged nails in just 30 minutes. 2. Break the Seal. 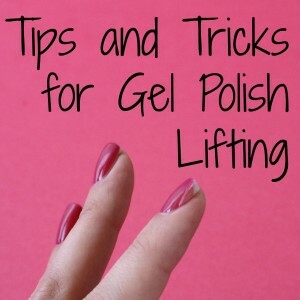 Use a buffer to rough up the surface of your gel polish just enough to break the seal of the top coat. 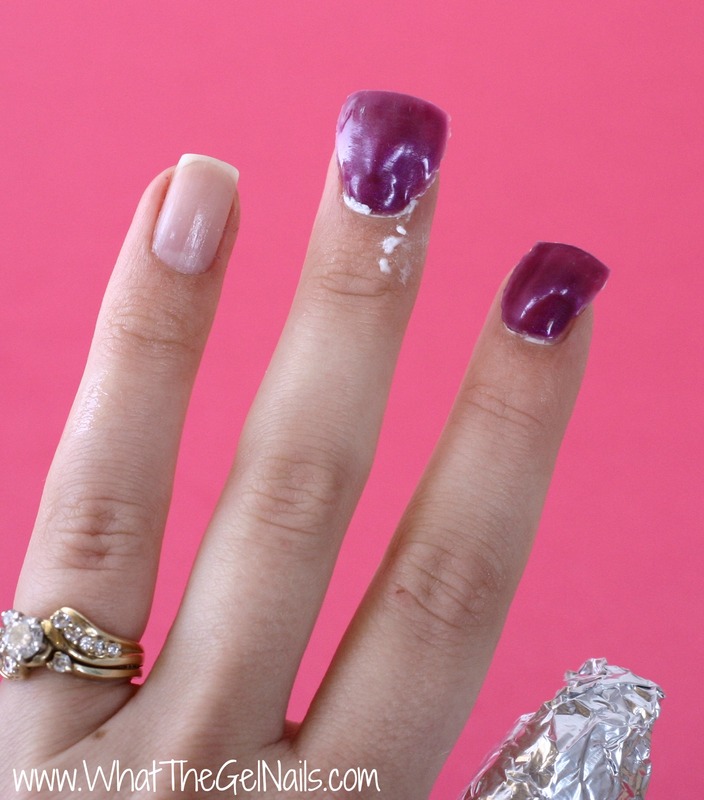 There’s no need to file down all of the gel polish. I often skip this step and can still remove the gel polish with no problem, but that depends on what top coat I use. Try it both ways and see which works best for you. 4. Foil. 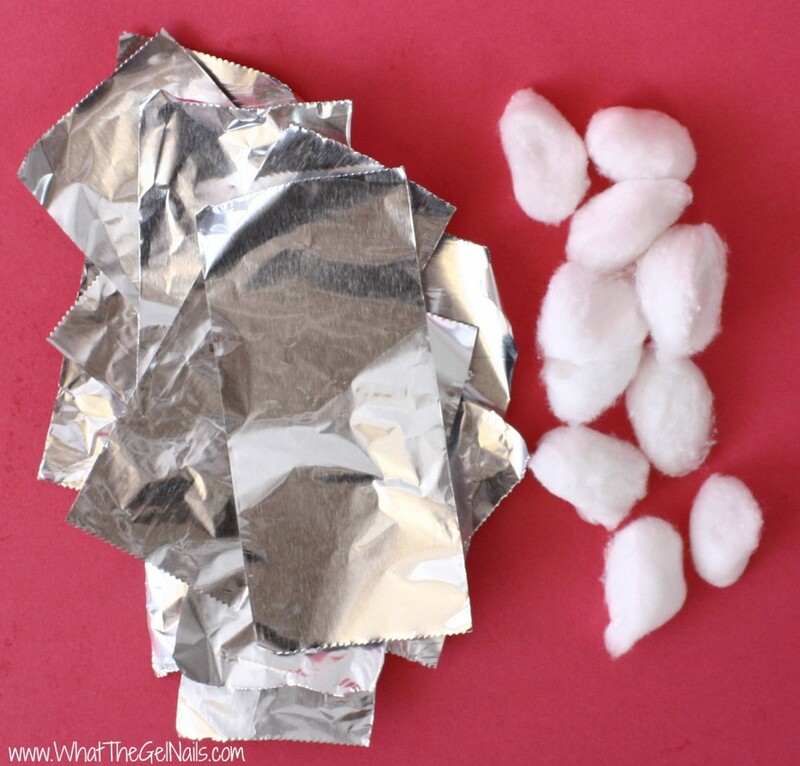 Use an aluminum foil square to wrap around the finger so that the cotton ball stays securely in place. Repeat steps 2 and 3 until you have done it with all 10 fingers. 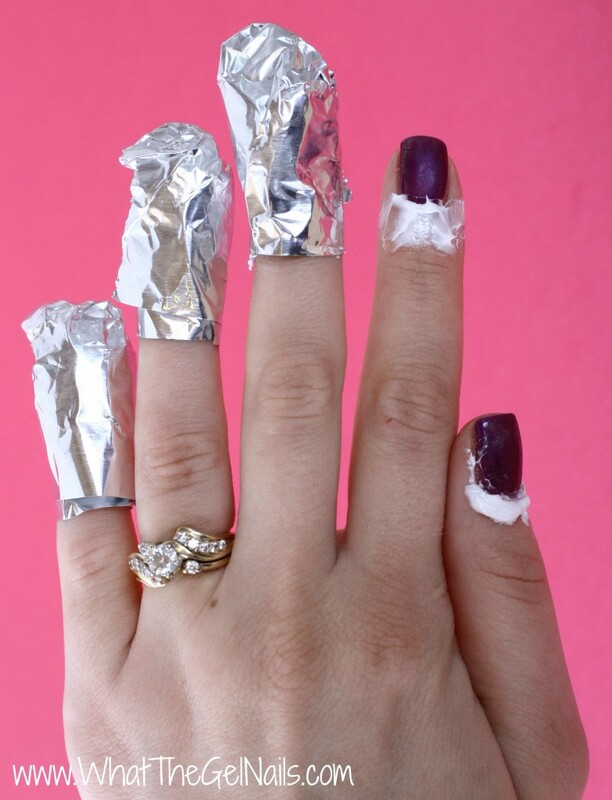 You might need some help wrapping the foil around the last few fingers. 5. Heat. 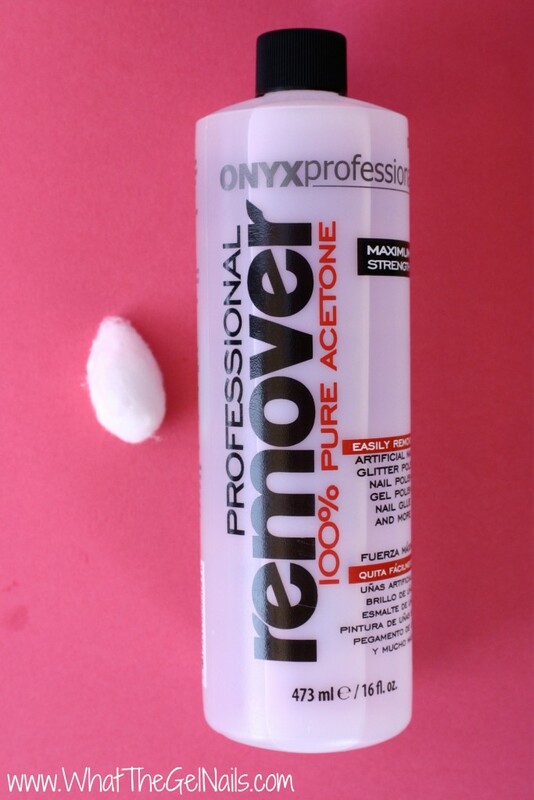 You may find it speeds up your removal process to add heat while your nails are soaking in acetone. Try heating a microwavable eye mask in the microwave for 30 seconds and then laying it on top of the foil wraps while soaking. This step is not necessary, but it does speed up removal for some gel polish brands. 6. Soak for 15-20 min. 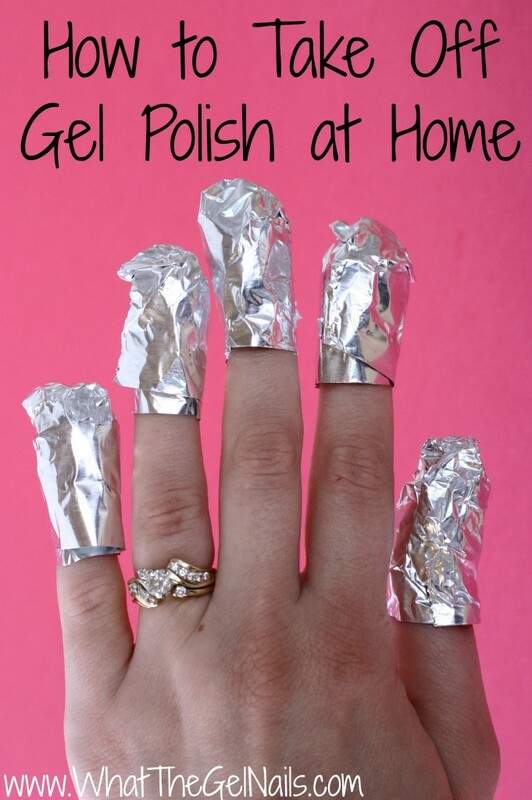 Keep the foil wraps on for 15-20 min. 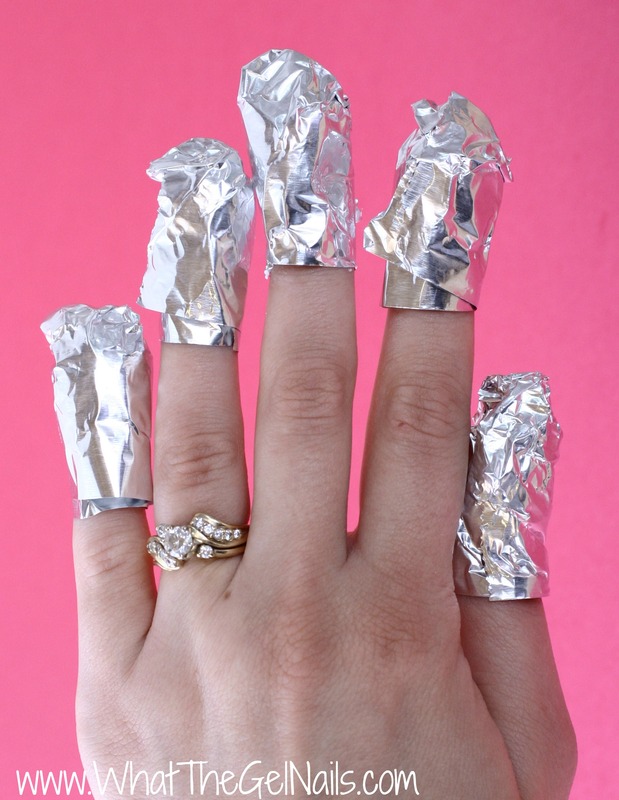 If the gel polish doesn’t come right off when removing the wraps, then they need to soak longer. Add more acetone if needed, then rewrap for 5-10 min. 7. Remove Wraps. Press the foil where the cotton ball touches the nail. Keep pressing down gently and slide the foil back and forth slightly as you take the foil wrap off. This should remove most or all of the gel polish off of your nail. 8. Finish Up. 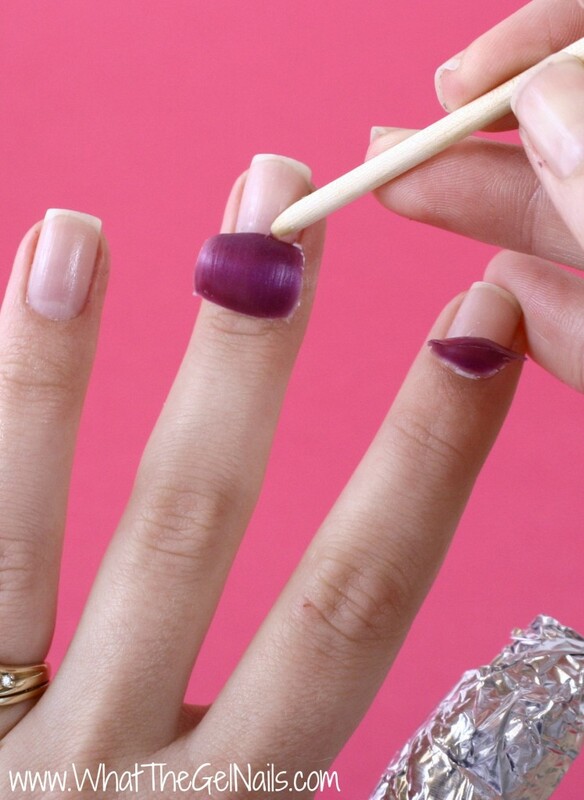 If any gel polish remains, use an orangewood stick and a cotton ball soaked in acetone to remove it. If there is any remaining gel polish, it should be a small amount and it should be easy to remove with the orangewood stick. If you have to use force to remove the gel polish, then you need to soak in acetone for more time!! 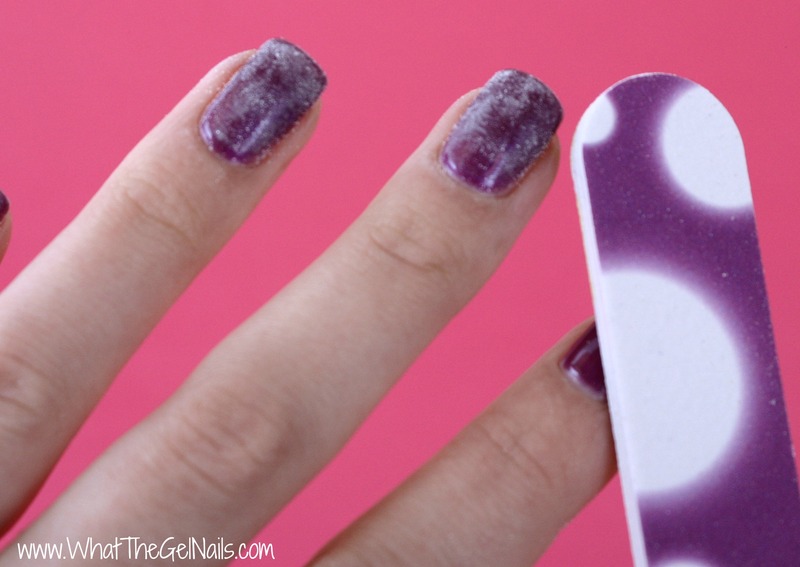 You can do a lot of damage to your natural nail if you use force to remove the gel polish.